Did Belize fall into Guatemala’s trap? BELIZE CITY, Wed. June 1, 2016–A document published online by Guatemala’s Ministry of Foreign Affairs claims that when the Government of Belize accepted the lingua in the agreements beginning 16 years ago in 2000, which call Belize’s border with Guatemala an “adjacency line,” it also recognized that there are no recognized boundaries between the countries. The declaration is striking, particularly in regard to doubts expressed by Belize’s Foreign Minister about the location of Belize’s borders, especially as they relate to our marine space. 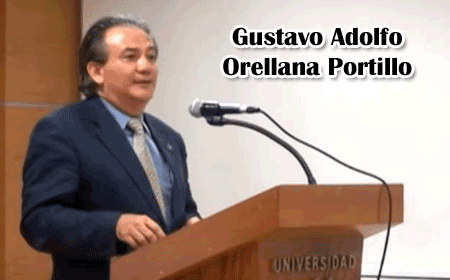 Gustavo Adolfo Orellana Portillo, Guatemala’s legal advisor, wrote a document dated 2010 titled, “Background and Study of The Special Agreement between Guatemala and Belize to Submit Guatemala’s Territorial, Insular and Maritime Claim to the International Court of Justice [ICJ].” The document was prepared for the Ministry of Foreign Affairs of Guatemala, and specifically for “the Belize Commission,” a group which has since been dissolved. Another claim which Portillo makes is that submitting the matter for mediation to the Organization of American States (OAS), was actually Guatemala’s idea—not Belize’s idea. As Amandala had recently reported, the Ramirez killings are listed among the 10 which the Guatemalan Government recently claimed were perpetrated by Belizean military since 1999, the most recent being Julio Rene Alvarado, 13, last month which the Guatemalans say they will protest via the Inter-American Commission on Human Rights, an OAS organ. Resulting from that bid by Guatemala, it was in 2000 that the first “confidence building measures” (CBMs) were signed in which the Belize-Guatemala border began to be called an “adjacency line.” Belize’s delegation leader in those talks was H.E. Assad Shoman, who signed the CBMs. It is noteworthy that while Belize has tried arduously to implement those CBMs, there have been countless allegations that Guatemala has not. The most recent example was the manner in which Guatemala moved to deploy its troops to the border area after the Alvarado fatality—despite assertions from Belizean officials that the Belizean soldiers had come under fire from Guatemalans under the cover of night and had only returned fire in self-defense. Incidentally, the CBMs only apply to the western border with Guatemala and not to the Sarstoon, where the Guatemalans have now officially maintained their encroachment on Belizean territory established prior to 1850 to span the Rio Hondo at our natural northern border with Mexico to the Sarstoon River, another natural boundary. 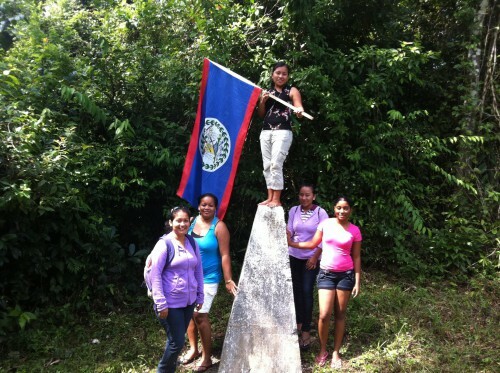 Of note is that the year after the 1859 boundary treaty was sealed, both Britain and Guatemala cooperated in setting down limestone markers at Gracias a Dios in the south (Toledo) and at Garbutt’s Falls in the west (Cayo), with that middle marker being on the Belize River. In between, there were 29 pyramids implanted to demarcate the line between the two border markers. Then again in 1929, both parties replaced those limestone markers with concrete markers, which still exist today. However, in his document, Portillo refuses to call these markers border markers. Instead, he calls them “reference markers”—holding the Guatemalan line that there is no border between the two countries. Whereas the 2000 special agreement says that the use of the term ‘adjacency line” is employed for the sole purpose of “facilitating the acceptance and implementation” of the CBMs, Guatemala argues that Belize’s acceptance of this term will help them at the ICJ. It also suggests a softening of Belize’s official position. On December 8, 2008, Belize and Guatemala signed a special agreement in Washington to submit the matter to the ICJ. Of note is that when the ICJ special agreement was signed, Guatemala had still not disclosed the extent of its unfounded claim over Belizean territory. Whereas it gives the impression that its claim is limited to the southern half of Belize, from the Sibun River to the Sarstoon, it has said in official communications with the Government of Belize that it reserves the right to claim all of Belize. As we speak today, Guatemala has continued to block the entry of Belizeans from Belize’s side of the Sarstoon, north of the deepest channel, including Sarstoon Island. It argues that it is exercising “sovereignty” over the area. The Government of Belize has proposed that the matter should be resolved through a mechanism that will preserve the lines established before the 1859 treaty; however, to date, no such mechanism has been established. Since there has been no change in Guatemala’s hardline stance since the parties talked on the sidelines of a UN meeting in Istanbul, Turkey, last week, the parties are scheduled to discuss the matter shortly under the auspices of the OAS.